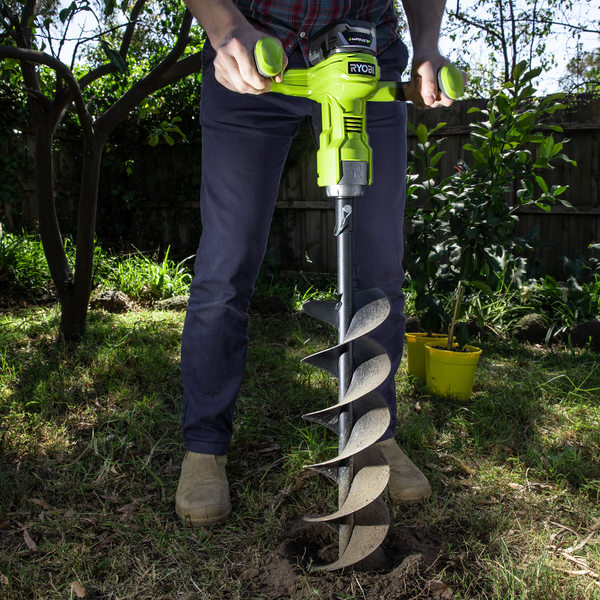 Glenn spotted a new Ryobi 18V cordless brushless tool in Australia called the Ryobi 18V Brushless Planting & Digging Tool model ODT1800. 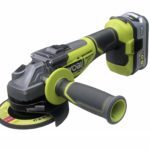 This new cordless planting and digging tool is basically a battery powered earth auger and makes it yet another one of Ryobi’s brushless cordless tools on their 18V platform. 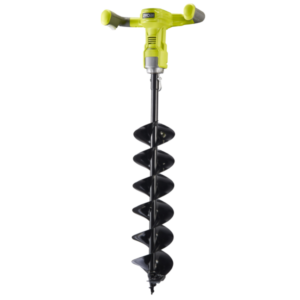 The earth auger is equipped with a 150mm auger which is 5.9 inches in diameter making it perfect for planting and also great for setting up 4×4 fence posts with ease and without the hassle of backbreaking shoveling. 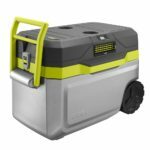 The brushless motor helps it achieve not only the power necessary to dig up dirt but also allows up to 30 150mm holes to be made with a single battery. They didn’t list which battery but it could be with either a 5.0ah or 6.0ah battery. There’s also electronic kickback protection to stop the motor in case the auger binds on a rock or root so the user doesn’t get hurt by the whiplash. 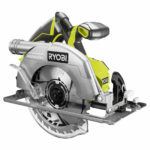 No word on if or when we will get one here in the USA but chances are good since we get most if not all new Ryobi tools announced overseas here in the USA. 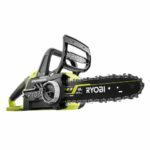 Where’s the 40V love, Ryobi? James C, the 40v is max voltage. It is actually 36v. Same as 20v max is actually 18v. I wonder if the same task could be completed with their brushless drill on “low gear” and an earth auger bit. That drill has ridiculous torque and a very smooth low speed, and I think even a side handle (that I don’t normally connect or use).